In 1841 German Protestant citizens of Millerstown and the surrounding areas felt a need to build a Union Church for members of the Reformed and Lutheran faiths. Following a donation of “120 perches of ground” by Solomon Wesco, a proclamation was drafted for a corner stone laying which took place on August 1. On December 11, 1841 Solomon’s Church of the German Lutheran and Reformed Congregations approved its first constitution. The Rev. Samuel Hess began his service as Solomon’s first minister. Solomon’s celebrated its first confirmation. Solomon’s received its first organ. The Union Church dissolved. Building renovations added a new front to the church. In November the Court of Lehigh County granted a charter of incorporation to Solomon’s Reformed Congregation. The church erected a parsonage. The women of Solomon’s organized the Ladies’ Auxiliary. A merger of the Evangelical Synod of North America and the Reformed Church of the United States resulted in the adoption of a new name, Solomon’s Evangelical and Reformed Church. Extensive renovations changed the outside appearance of Solomon’s. A new organ was dedicated in September and Solomon’s celebrated its Centennial in October. On December 3 Solomon’s laid the corner stone for the new Christian Education Building. 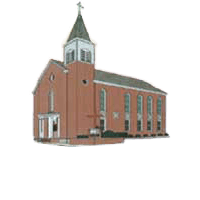 Following the merger of the Evangelical and Reformed Church and the Congregational Christian Churches which formed the United Church of Christ, the church became known as Solomon’s United Church of Christ. The congregation installed its first Junior Deacons. A Board of Christian Education became functional to govern the Sunday Church School and total Christian Education Program. The sanctuary received new chancel furniture. Solomon’s purchased the property at 72 S. Church Street and converted it into a new parsonage. Solomon’s established a Building Fund to facilitate the financing of a major renovation project as approved by the congregation. A new constitution was adopted. The chairlift at the rear stairs was installed in November as a gift in memory of Mr. & Mrs. Ellis Lichtenwalner by their children. Major renovations were completed and the church rededicated. Dr. & Mrs. William L. Bollman installed a stained glass window in memory of their daughter Patricia. The Fellowship Hall was renamed the Wieder Fellowship Hall, as a living memorial to Mr. and Mrs. John F. Wieder and their son Francis. An electronic steeple carillon was installed as a memorial to Wilbur L. Albright, Ronald B. Plarr and Mrs. Howard D. Raedler. The chancel painting was restored by Allentown artist Allen Hermansader. Workcamp trips. Members journeyed to Honduras, Central America to work with people of the E & R Church of that country on construction projects. Solomon’s UCC celebrated its 150th anniversary. Renovations to the Church and Sunday School wing were completed. Bank loan of $55,000 was repaid in 9 months. The Sunday School celebrated its 150th anniversary. New choir gowns were purchased. A new Allen Organ for the sanctuary was purchased and installed.